L.C.M.A. S.A. enlarges consequently its line of products and started the production of titanium rings. Our primary goal is to produce the high-quality titanium products exactly to the specifications and to surpass the customers’ expectations! 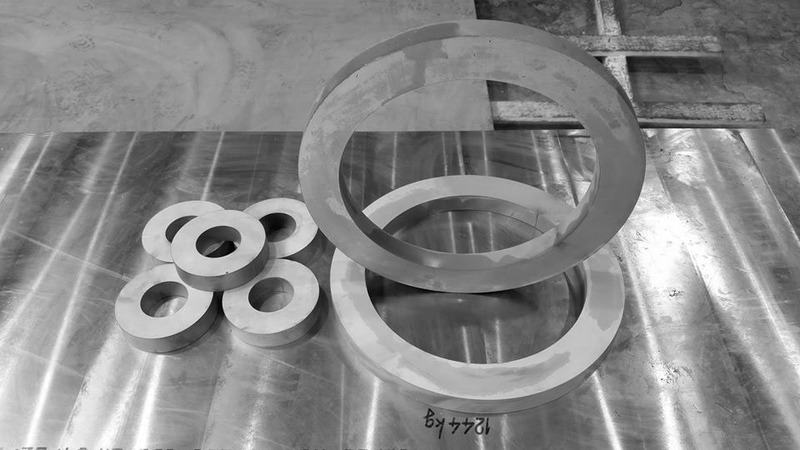 The titanium rings were cut by a water cutting machine FLOW – Mach 2 from titanium plate. Grade 2: Specification ASTM B265. Our waterjet cutting services are the effective way to deliver precision-cut pieces while avoiding some of the problems that can come from other cutting methods. Our machines allow a maximum input width of 2000 mm, length of 4000 mm and thickness of 100 mm, so we can meet a wide range of requirements.